Discover Santa Fe at the world renowned Rosewood Inn of the Anasazi in New Mexico and when booking your travel across WhataHotel! enjoy Exclusive Complimentary Perks for an amazing deal. Located in the center of this dreamy destination, Rosewood Inn of the Anasazi is an intimate retreat with loads of charm. Stay in a place known to host celebs and VIPs and find swanky style and impressive service. 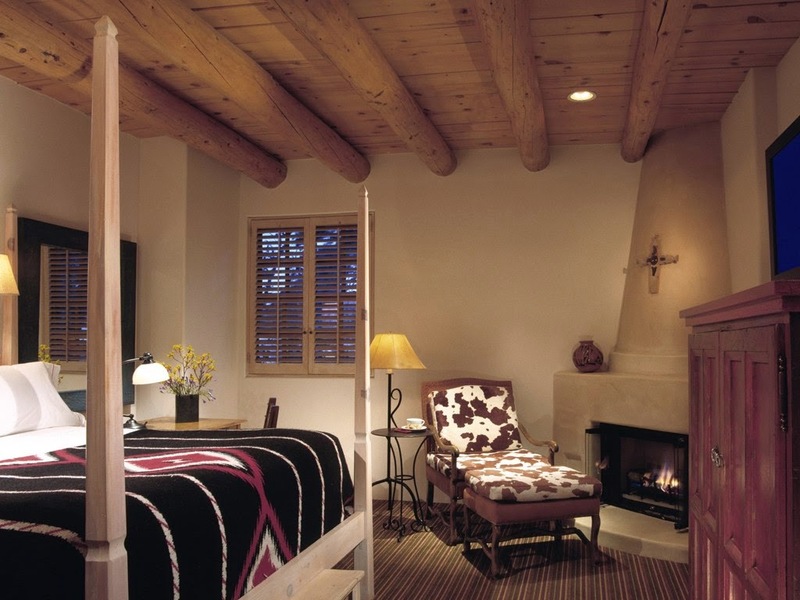 This boutique hotel is one of the Best Hotels in Ultra-Chic Santa Fe. Rosewood Inn of the Anasazi is a spot that celebrates the creative spirit of the Native Americans that call this region home. The 58 rooms found here feature earthy sandstone walls and traditional thick beamed ceilings. 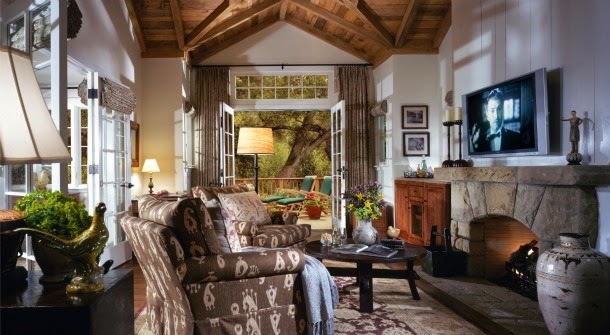 Each space also boasts a kiva-shaped gas fireplace, handwoven rugs and artwork created by famed local artists. Every detail of each guestroom is truly special, from the hand-carved wooden doors to the four-poster beds that require a step stool to climb into them. This authentic hotel also presents guests with some of New Mexico's most highly acclaimed dining options. 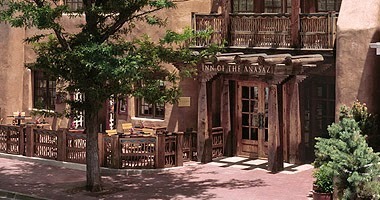 The Anasazi Restaurant offers up a rustic yet elegant Southwestern dining atmosphere that will not easily be forgotten. The menu features American cuisine infused with local and seasonal flavors. The Patio is another option that is also quite fabulous. It allows guests to dine al fresco while the sun sets in the distance. And for an intimate meal schedule a meal at The Wine Cellar which offers award-winning wine selections and a private candlelit dinner. Other amazing options for guests while visiting Rosewood Inn of the Anasazi include massage and aromatherapy treatments, a visit to the quiet living room for lounging or The Library for a relaxing game of chess or a good book, or ask the knowledgeable Rosewood Curator for assistance with local outings, restaurants, museums and historical sites that might be of interest. This glorious town is filled with fabulous ways to spend your days and your nights. When planning your trip out west, allow WhataHotel! to book your stay at the gorgeous Rosewood Inn of the Anasazi and receive Exclusive Complimentary Perks alongside exceptional service for an unbeatable deal. This alluring retreat allows guests to experience extraordinary accommodations in a traditional setting for an unforgettable vacation. 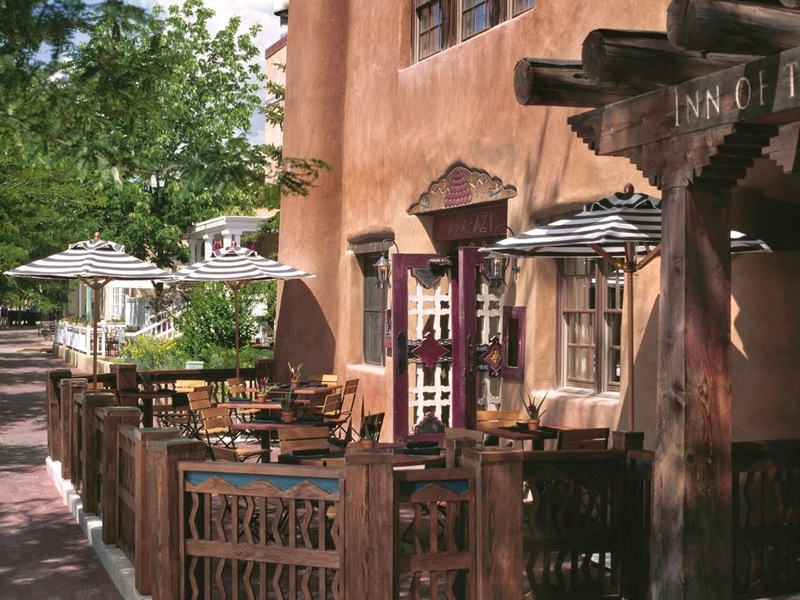 Santa Fe is a magical city filled with galleries, museums and stylish shops all set up in the intriguing historic plaza district that is just steps away from this expressive hotel. Stay in style at a spot trendy enough for A-listers but lo-key enough to remain comfortable. 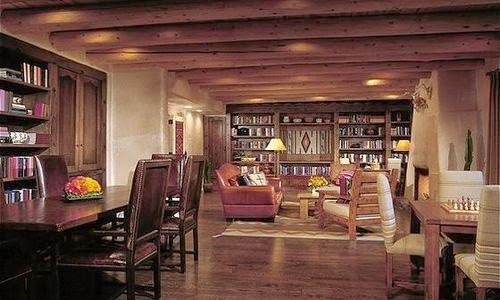 The Rosewood Inn of the Anasazi is a little gem in Santa Fe's spectacular crown.